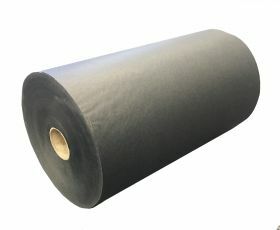 Our Geami black tissue paper roll is designed to interleave brown or white Kraft paper in the manually operated Geami WrapPak dispenser, which gives you a highly protective packaging solution. 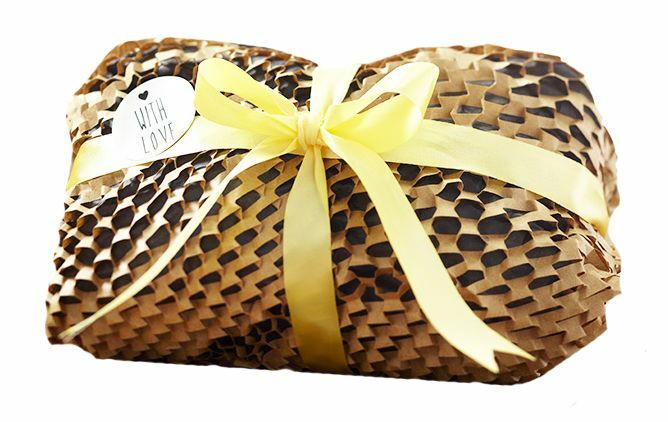 The tissue wrapping paper is combined with the outer die cut packing paper to produce an instant eco packaging alternative. It's an all-round environmentally friendly packaging solution that's robust, professional-looking and attractive. Geami black tissue paper looks great with either the brown or white Kraft paper for an overall designer feel. Our Geami black tissue paper is used as part of an extremely effective eco packaging solution that has it all: it’s adaptable shock-absorbent cushion packaging for wrapping or void fill, it’s flexible, stylish, 100% recyclable and biodegradable – and conveniently easy to produce on demand. The Geami WrapPak system uses rolls of patented die cut white or brown Kraft paper with white or black tissue paper, manually dispensed as needed from a portable machine. It offers sustainable protective packaging ideal for many mailing applications, but especially as packaging for fragile goods and glass, food and electrical items. 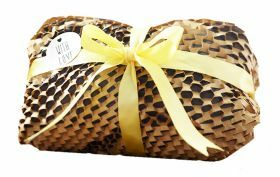 It provides an attractive organic in-the-box presentation, so it’s perfect for soap and cosmetic packaging as well as for gifts. The outer Kraft wrapping is die-cut with thousands of horizontal slits, enabling it to be transformed into a very strong but flexible 3-D honeycomb structure as it is drawn through the dispenser. 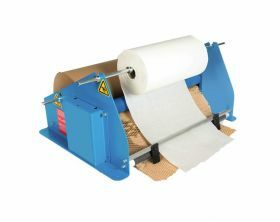 The tissue paper roll is drawn through simultaneously, yielding a soft smooth inner wrapping to protect goods from scratches. 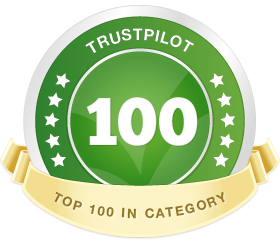 Geami has no waste as you just tear off just what you need, then secure the wrap by simply folding the paper against itself once the items is wrapped, so there is no need for scissors or adhesive tape. This is an incredibly malleable versatile green packaging solution as it is so easily moulded around items of various sizes and shapes. You can criss-cross it around larger objects, tuck it into the tops of glasses and twist it round handles and spouts. You can wrap the smaller goods like cups singly or bundle them together by wrapping and folding along the length of the dispensed papers. 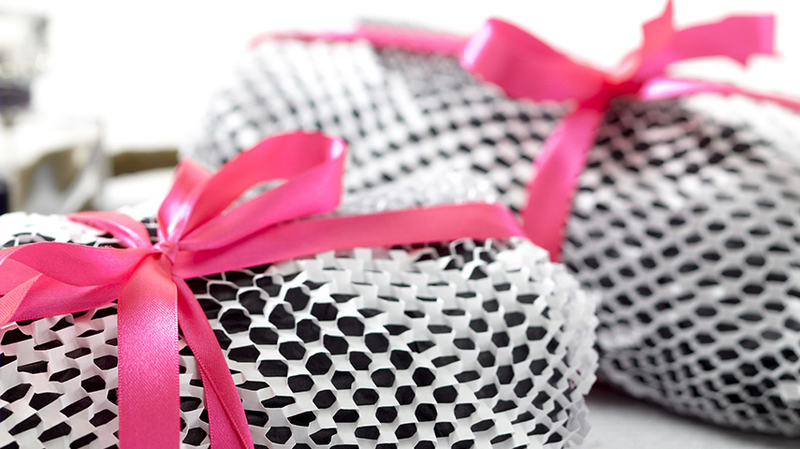 You can introduce a designer element to your wrapping process too, simply by ringing the changes between white and black tissue with the white or brown Kraft packing paper. The Geami black tissue paper will give your parcels a classy finishing touch while providing reliable surface protection in this environmentally responsible packaging system.